The effort comes as Jacksonville has seen controversial police shootings, arrests of activists and calls to suspend pedestrian ticketing in light of racial disparities. The Jacksonville Sheriff’s Office will begin bias training for its officers next week in what the office said is an effort to improve relations with the city’s diverse populations. The training will be conducted by Bethune-Cookman University, a historically black university in Daytona Beach. It will be concentrated on officers and residents of the Sheriff Office’s Zone 5, which makes up Northwest Jacksonville. That patrol zone has among the highest concentrations of black residents in the city. Research released by the University of North Florida last year showed that the patrol zone has the lowest level of trust in law enforcement. Trainings for officers will focus on improving negative perceptions and attitudes that exist between the community and police. The university’s work with local residents will center on the community’s role in neighborhood safety and how citizens can improve relationships with police. The training will involve 135 Sheriff’s Office personnel and 120 community members and 52 total hours of training. It will cost about $23,500. Undersheriff Patrick Ivey, the office’s second in command, said on Wednesday that officers have had trainings in diversity and bias before, but that there was a perception in the community that more was needed. “We had already had some of this, but you know what, more doesn’t hurt, more helps,” Ivey said. Samir Gupte, an official with the local American Civil Liberties Union chapter, said his organization had been urging Sheriff Mike Williams for some time to consider additional training. He said there needs to be a more frank admission from Sheriff Williams that implicit or unconscious racial biases could be playing a role in issues between minority populations in Jacksonville and the police. Jacksonville Sheriff Criticizes Our Reporting. We Respond. Jacksonville Sheriff Mike Williams issued a press release Friday alleging inaccuracies in our latest story on pedestrian tickets. Read our full response. 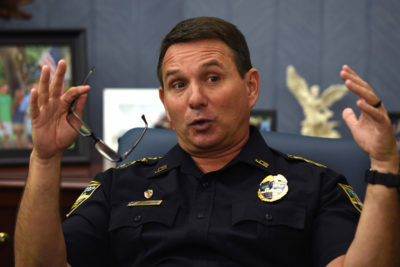 Worries about police bias have surfaced in Jacksonville in a number of cases of allegedly excessive or racially disparate enforcement over the last year. There have been controversial police shootings. Since 2007, 133 people have been shot by Jacksonville police, according to a Times-Union database. One hundred and one of those were black, while blacks make up just 29 percent of the population. Other incidents included a local black pastor who said he had a gun pointed at him during a traffic stop. A video went viral showing a contentious pedestrian stop between a white officer and a young black Arlington resident. 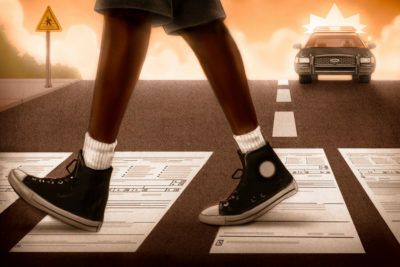 And reporting by the Florida Times-Union and ProPublica has revealed that the city’s black residents receive a disproportionate number of pedestrian tickets, seemingly minor matters that nonetheless can have serious ramifications for residents unable to pay the fines or unwilling to do so because they believe they were ticketed unfairly. Ivey, however, said the impetus to pay for bias training predated all or most of the incidents. He said the department began contemplating the training as far back as last May, in response to the sheriff’s own reform commission. “Yes, incidents occur along the way that make you say, ‘Thank goodness we’re moving in the direction of having a better understanding of these,’” Ivey said. The Sheriff’s Office did not formally announce the training until after the Times-Union and ProPublica requested documents relating to the initiative with Bethune-Cookman. Leslie Scott Jean-Bart, a Jacksonville lawyer with experience in discrimination cases, and the granddaughter of the first black person and the first woman elected to the city council, said the training is welcome, but should be more extensive and agencywide. Jean-Bart said there are local experts that could help the Sheriff's Office make the training ongoing. It’s especially critical, she said, that senior personnel who oversee the behavior of other officers receive the training too, so that they can better assess complaints coming from the community. The Interfaith Coalition for Action Reconciliation and Empowerment issued its own statement to the impending training.